Today I'm bringing you a pre-Fall look I created with a mixture of my favorite pieces and some new ones from Shein. I wanted to make the skirt the focus and by wearing it with a grey turtle neck and plaid blazer it dresses it down quite a bit making it into a perfect look during this season and comfortable enough to wear during the day or night. 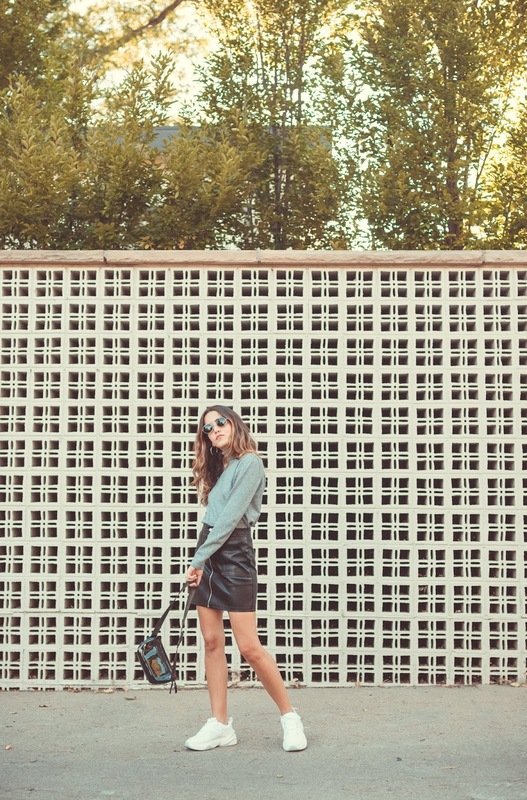 I love mixing pieces that don't necessarily go together, the faux leather skirt with sneakers gives it a fresh and modern feel and it has become one of my favorite combos lately.